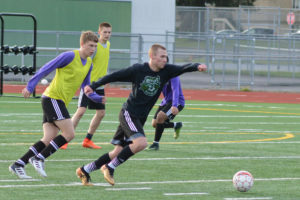 It’s something Matt Herrera had never done during his seven seasons as the North Thurston High School boys’ soccer head coach. The unanimous answer among the senior-heavy squad was to play a 3-5-2. Herrera wasn’t initially 100 percent sold. Herrera had his doubts, but it’s what the team wanted so he gave it a try. 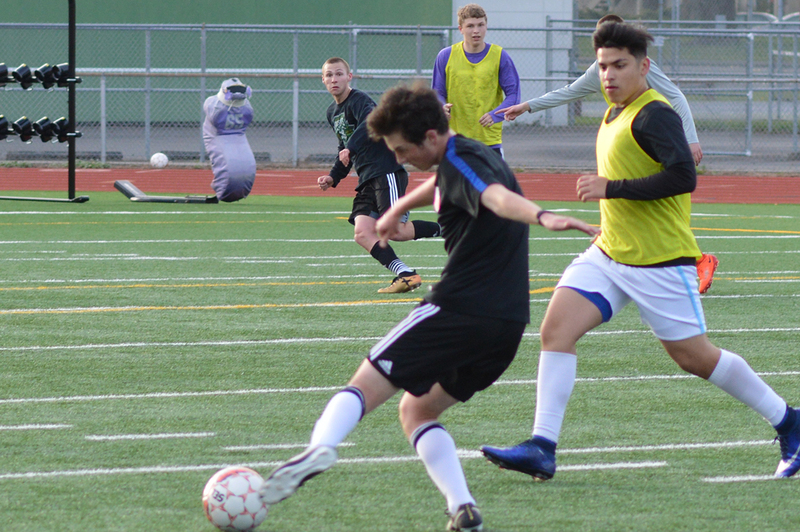 The first game of the season, the Rams defeated 3A South Sound Conference contender Peninsula, 2-1. A wise choice indeed as North Thurston opened the season by winning its first four matches by a combined score of 17-5, forcing Herrera to continue to acknowledge his team’s decision. 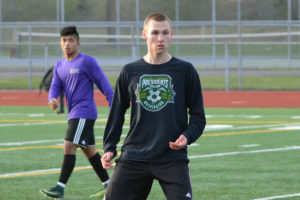 The Rams are enjoying one of their strongest regular seasons during Herrera’s tenure as coach, winning eight out of their first nine games, with their only setback coming in a 1-0 loss to conference leader Gig Harbor. The solid play has the team, which features 10 seniors overall with eight of them starting, eyeing a return to the state playoffs for the first time since 2011. Advancing to the postseason has not been a problem for the program in recent years, but getting out of district play has proven to be difficult. This year’s seniors have made three consecutive trips to the district playoffs – each ended short of securing a berth to the Class 3A state tournament. Winterrowd is looking to change that trend. Winterrowd is joined in the lineup by fellow seniors Ignacio Arceo, Addison Demeire, Ethan Donovan, Ian Gibbons, Miles Hamilton, Melvin Lops, Koby Marcott, Jaeger Maxfield and Edwin Pope-Ochoa. 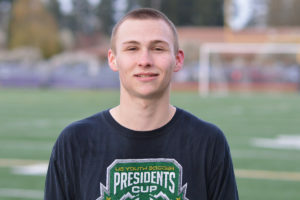 Winterrowd is one of several four-year starters for the team, which went 6-7-3 last year before losing in the first round of the 3A West Central/Southwest Washington district tournament to Wilson, 2-1, in a contest that took two overtimes. Herrera is quick to point out the multiple hats Winterrowd has had to wear over his four years with the program – from being a team leader early on to his consistently strong play, which saw him join teammate Jack Harrison on the second-team all-conference list in 2017. In both regards, Winterrowd has more than delivered.